Social charges in France: can you claim a refund? FrenchEntrée > Guides to Buying your French Property > French Tax > Social charges in France: can you claim a refund? Social charges are effectively a second form of income tax in France and are levied on most types of income on top of income tax. They are payable on earned income at 8% and pensions at 7.4%, if you are French resident and subject to French health system (Form S1 holders are outside French health system unless you paid French cotisation sociales or Couverture Mutuelle Universelle contributions). Unearned income, such as rental, investment income and capital gains, is charged at a total rate of 15.5%. Social charges on investment income used to only be payable by residents of France, but in summer 2012 were extended to non-residents with French letting income and French real estate capital gains. A Dutch national, Gerard de Ruyter, brought a case against the decision in the European Court of Justice and won. In February 2015, the Court ruled that social charges on unearned income paid by French residents working in another EU Member State and subject to the social security in that State were discriminatory. Social charges are subject to the European legislation on social security and a taxpayer cannot be liable in two Member States. Generally, the State in which the taxpayer is working should be competent to impose social security liabilities. • Non-French residents living in another EU Member State, on French real estate income (capital gains and letting income). On 20th October, the French government issued guidance on the reimbursement of social charges. If you fall into either of these categories and unduly paid social charges on unearned income, you are entitled to a make a claim to recover the tax. Note that in some cases the claim needs to be made before the end of this year (see below). Claims can be made online, or at your local tax offices or for non-French residents to the services des impôts des particulers – non-résidents (except for real estate capital gains claims), or at the direction départementale des finances publiques for real estate capital gains. We recommend you contact your French lawyer or accountant for help in filing the claim. 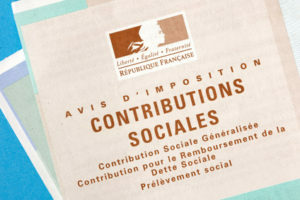 Residents subject to the social security of another EU Member (Form S1 holders) can claim the repayment of social charges unduly paid on unearned and investment income, including real estate capital gains, letting income, Assurance-Vie, capital redemption bonds, tangible moveable assets gains, capital gains on shares, dividends, interest, Plan d’Épargne en Action, etc. For letting income, Assurance-Vie and capital redemption bonds taxed under the scale rates of tax, dividends and interests where the advanced payment is not applicable, capital gains on shares, the claim must be filed by 31st December of the second year following the tax demand. The tax demand is received the year after the income is made. For real estate capital gains, moveable tangible assets, capital gains, Assurance-Vie and capital redemption bonds where the fixed rate of tax is used, dividend and interests where the advanced payment is paid, the claim must be filed by 31st December of the second year following the imposition of the charges. Usually, for this income, the charges are paid the month following the receipt of the income. Non-residents living an EU country can claim the repayment of social charges unduly paid on French real estate capital gains, and French letting income. For real estate capital gains, the claim must be filed by 31st December of the second year following the imposition of the charges. Usually, the charges are paid within a month after the sale of the property. For letting income, the claim must be filed by 31st December of the second year following the tax demand. You receive the tax demand the year after the income is made. A draft social security budget is proposing amendments to social charges in line with EU legislation. If the French Parliament accepts this proposal, social charges will be due on unearned income again from 2016, for everybody, but in another form. When you add social charges on top of income taxes, your tax bill in France may be rather high. However, there are compliant arrangements in France that can lower your tax liabilities, sometimes significantly, on your investment income and capital. 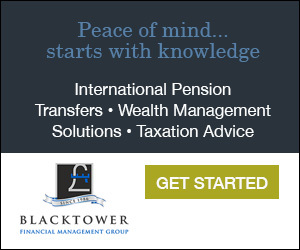 Seek professional, personalised advice to make sure you holding your assets in the most tax-efficient way. Has anyone received a repayment of French Social charge? I am trying to obtain a refund and would be interested if anyone has been able to achieve this. It is proving to be very difficult despite providing all documentation asked for. Thank you. I am dealing with my claim through a french solicitor but she doesn’t seem to know how I can prove I am in the uk social system in 2013 even though the sale of the property at that time requires proof of uk residency. It’s not logical but french government making it difficult. Would love to know if anyone has been paid and what documents were supplied?